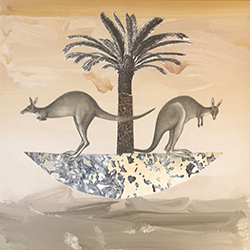 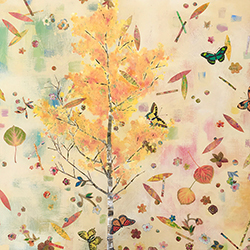 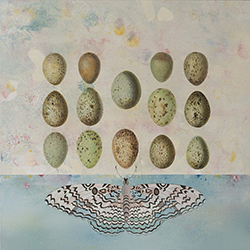 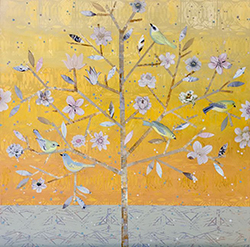 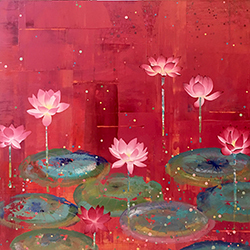 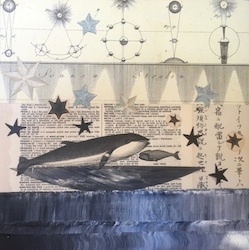 Diana Stetson's paintings celebrate the miracle of being alive, the beautiful interconnectedness of all beings. 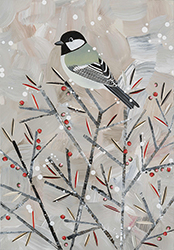 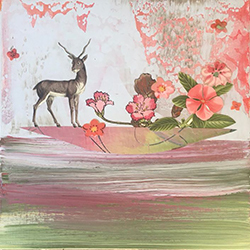 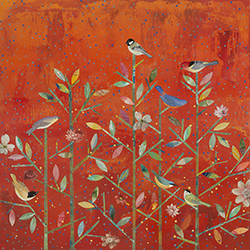 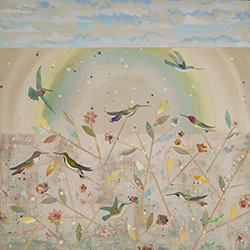 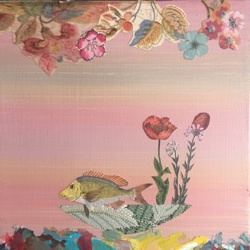 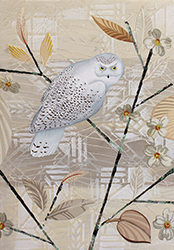 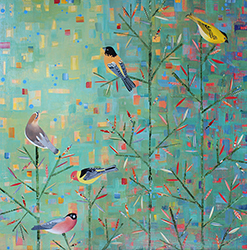 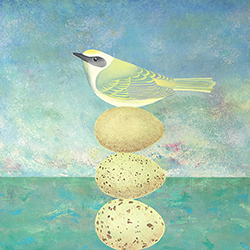 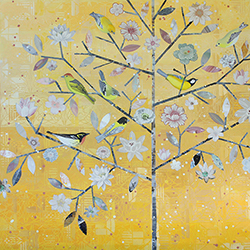 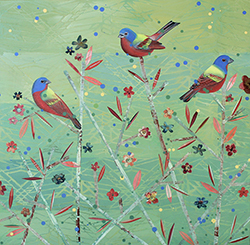 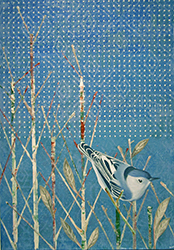 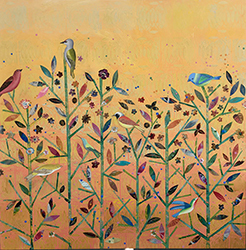 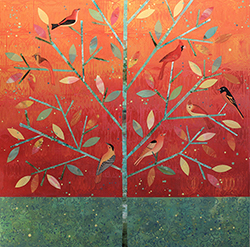 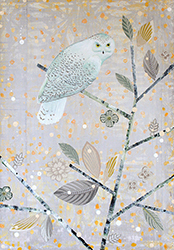 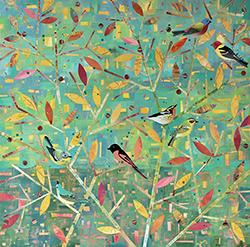 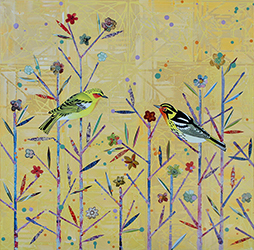 Working in a harmonious, joyful palette, in mixed media on panel, Stetson chooses subjects from the natural world. 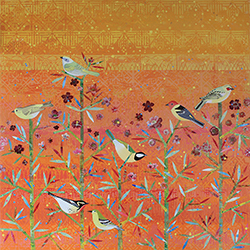 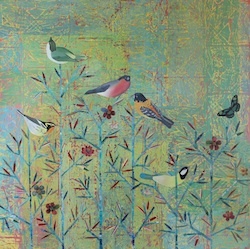 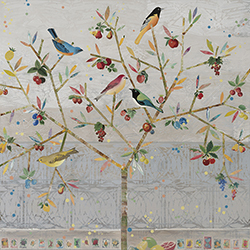 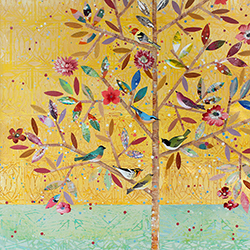 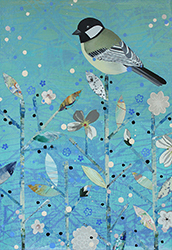 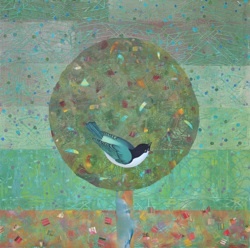 Songbirds perch in beguiling, blossoming branches. 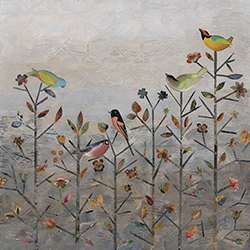 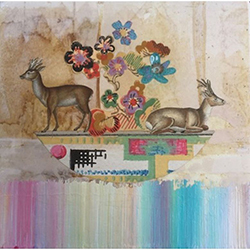 Menageries of perfectly painted creatures inhabit an unperturbed universe of textured backgrounds. 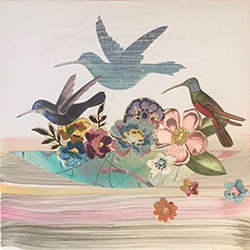 Stetson's art resides in thousands of collections worldwide, including the personal collections of various luminaries from the political, business, arts, and entertainment communities. 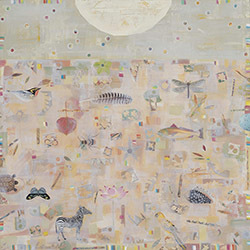 Numerous museums have exhibited Stetson's work, including the Museum of Fine Art in Santa Fe and the Albuquerque Museum in Albuquerque. 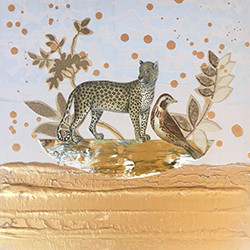 This brilliant art is included in the permanent collections of the National Art Museum in Ashgabat, Turkmenistan, and the Portland Art Museum in Portland, Oregon, among others. 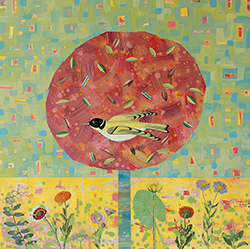 A native of New York, Stetson currently makes her home in Albuquerque. 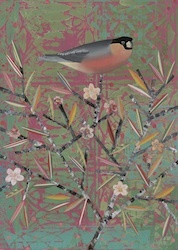 To view a selection of Diana's giclees, click here. 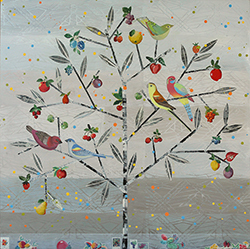 mixed media on panel, 9" x 9"
mixed media on panel, 20" x 40"
mixed media on panel, 48" x 48"
mixed media on panel, 20 x 14"